The visual aspect of any marketing strategy and campaign has always been essential. Nowadays, with the increased use of technology, by both the customers and marketers, the visual identity became more important than ever. Whether it’s about promoting a brand, product or a service, a visual identity is what truly captures the attention of customers and potential customers as well. This is especially true when it comes to brand design, as the visual identity of your brand represents its symbolic features, which cannot be described using words alone. Visuals directly lead to attracting customers and the quality of their experience with your brand, while content and sales pitches lead to conversions. However, together they form a unique message that will get you the desired outcome, when it comes to increasing your brand visibility and revenue. That’s why every company should implement a well designed visual identity in every marketing campaign. Here are a few examples where visual identity matters the most. A company’s website is the hub of the business, and all information is centered there. It’s a well-known fact that, in these modern times, a well-designed website is of the utmost importance, especially from the visual point of view. A website without colours or other visual aspects such as images, videos and so on, won’t encourage visitors to explore it further – the same way that a blog without a relevant, informative or entertaining content won’t be interesting to readers. A visual identity of a company website represents a brand and its unique features that customers and followers can relate to. This includes colour patterns, fonts, images, videos and information that distinguish a brand. A brand’s website is where the audience comes to gather, share information or learn something new. It’s also a place where the audience can engage with a brand and its products or services. However, it’s the visual identity of that brand’s website and the brand itself that binds everything together into a solid community. Social media presence is vital for every company, and social networks are one of the main platforms for companies to endorse their marketing campaigns and promotions. For brands, social media is the way to increase their awareness and visibility online, and the way to connect with the audience on a more personal level. However, brands don’t just promote their products or services on social media – they also promote themselves. This is where visual identity plays its vital role – because without a unique visual representation, such as a brand logo for example, a company won’t be able to stand out in their social media promotions. Other visual aspects also play a vital role on social media, as companies encourage continuous branding that will supply the audience with unique content and information that will make their brand more recognisable on social networks, as well as improve their brand’s reputation. 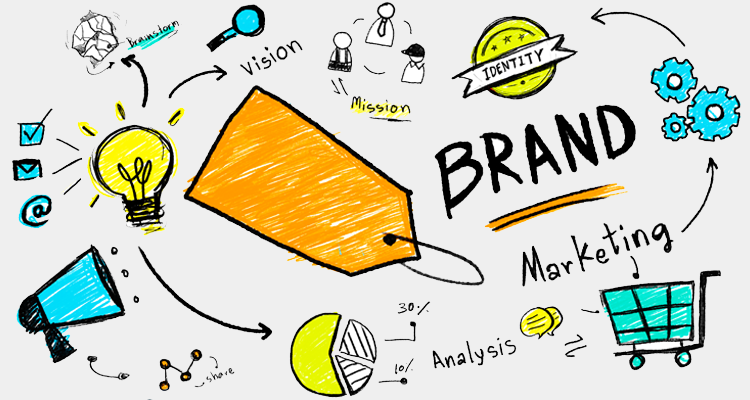 Brand promotions are essential for improving brand equity and credibility. It’s also a good way to increase brand recognition and awareness in various places. However, without a visual identity that is unique to the brand, promotions won’t have the desired effect. Visuals that are exclusive for the brand increase the desired effect that promotions can have on customers or business associates. As mentioned above, brands have unique colour patterns, logos and fonts, which make a good part of its visual identity and these visual aspects must be a part of brand promotion. For instance, unique packaging for product delivery or customised promotional material with a brand logo or slogan, are a good example of using visual identity in promotions. You can use promotional merchandise ranging from key chains, T-shirts and mugs, to flash drives or personalised corporate gift cards, and hand them out as rewards to your loyal customers or as gifts to your B2B acquaintances. This will help promote your brand and improve relationships with your customers and business partners. Nowadays, all marketing efforts are concerning the customer and their experience with a brand. Every marketing campaign or strategy is designed to attract visitors and make them realise that converting to customers is their best choice. However, all efforts will go down the drain without a unique visual identity that represents a brand. Furthermore, customers enjoy good content provided by the brands that will supply them with new or additional information, but they prefer content that has other visual aspects such as images, infographics, videos etc. According to HubSpot, 43% of people want to see more video content from marketers and 51.9% of marketing professionals worldwide name video as the type of content with the best ROI. That means that brand’s visual identity is not just a logo or its colours – it’s a combination of all visual aspects that will make an outstanding customer experience. For customers, engaging with a brand means relating to its product or service, as well as with a brand’s message and mission. However, brand’s visual identity is designed according to the target audience and their preferences, which is another thing they can relate to. A brand’s visual identity is a combination of visual aspects that will attract customers and improve their experience with a brand. It’s also a feature that makes a brand unique. Leveraging visual identity of a brand is essential for every marketing campaign, strategy and promotion.